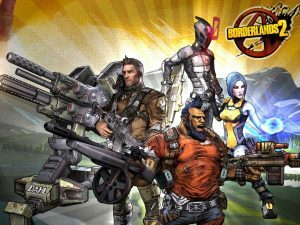 Borderlands 2 has been a commercial success for Gearbox and they plan on keeping the game going with DLC as they did in the first one. However, with such a big game there tend be bugs which in today’s age can be corrected with updates. 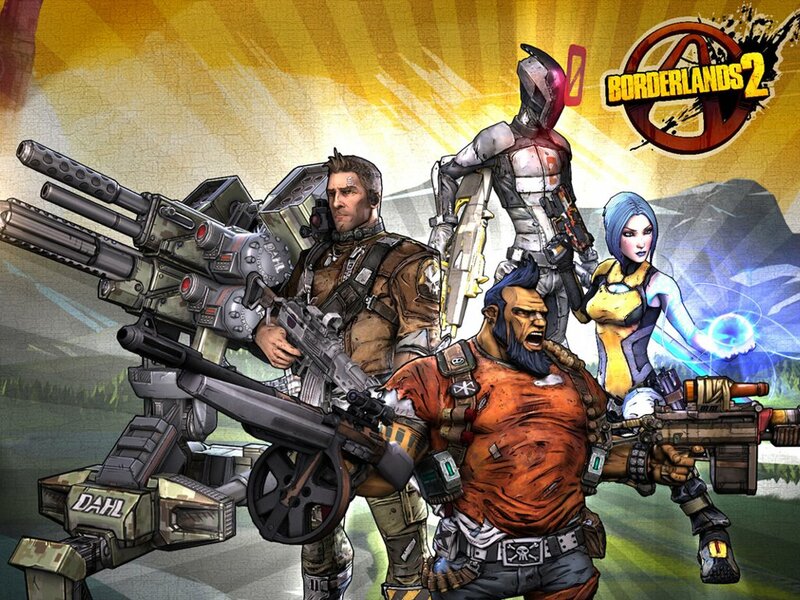 The latest Borderlands 2 update brings a slew of fixes to the PS3 version that are sure to please gamers. Here is a list of the changes from Gearboxes Support forum. If you have gotten the update let us know if it has been successful or if there are more bugs that Gearbox still needs to address in Borderlands 2. Modified profile behavior to better protect Badass Rank and related data. Added functionality to detect and restore Badass Rank in the event it was lost. To ensure you are credited for as much progress as possible, please load your character, select “Continue” on the Main Menu, and then “Save and Quit” after you enter the world. Repeat this process for each character in your character list. Fixed an issue that caused players to sometimes crash or freeze after killing Master Gee in the Captain Scarlett DLC. Added a confirmation dialog when opening the Golden Chest in Sanctuary. Fixed a bug causing players to sometimes get stuck zoomed in when in “Fight For Your Life” mode. Fixed a bug that could sometimes cause skill points to be reset when loading a character. Fixed a bug that could cause weapons to not stop firing when the “Gunzerking Autoswitch” option was enabled. Fixed the Mechromancer’s Anarchy skill sometimes losing stacks incorrectly for multiplayer clients. Fixed some cases where enemies were getting stuck and unable to move. “Inverted reverse steering” option now works correctly for clients in a multiplayer game. Fixed an issue that could cause the trade icon to get stuck on the screen. Fixed a bug where a splitscreen player would sometimes not receive the appropriate default weapon when creating a new character. Fixed a bug that could cause the message “processing vehicle change request” to get stuck on the screen. Fixed an issue where players could occasionally be unable to connect to one another if one of them had recently been in DLC that the other doesn’t have. Added an informational dialog explaining that profile-wide settings won’t be saved when splitscreen players choose the same system user as the primary player. Fixed a bug that could cause enemies and missions to be locked to an incorrect level. Fixed a bug where the player’s active mission would sometimes fall back to main-game missions when completing other missions in DLC areas. Fixed a bug that could cause mission waypoints to not display in DLC areas. Reduced level of Captain Scarlett and Mr. Torgue DLC raid bosses in Normal Mode. Captain Scarlett and Mr. Torgue DLC raid bosses no longer drop Seraph crystals in Normal Mode. Fixed a bug where Master Gee (Captain Scarlett DLC) would sometimes not drop any items when killed. Increased the health of Terramorphous, Willhelm, and Blue. Addressed an infinite leveling exploit with Fleshstick. Fixed a bug that could cause players to lose mission rewards that they had not claimed when switching between Normal mode and True Vault Hunter mode. Fixed a bug causing the item-of-the-day not displaying “sold out” sometimes when opening a vending machine where the item had already been purchased. Fixed a bug that could cause non-droppable inventory to be lost when trying to equip it from the world. Fixed the player’s backpack sort setting not persisting. Fixed a bug that could cause players’ backpacks to display empty under rare circumstances when trading. Fixed a bug that could cause the critical hit bonus to inconsistently be included on the item card of weapons that modify this stat like Miss Moxxi’s Bad Touch. Fixed bug causing Tediore reloads to get Amplify shield damage bonuses for each round remaining in the clip. Fixed an exploit giving the player unlimited grenades by picking up a specific grenade mod. Fixed customization items getting sorted as “ammo” in the inventory. Amplify damage from Amplify Shields is now divided among all projectiles fired from a single shot. Added “(undiscovered)” entries to the challenge log for challenges that the player has not yet found. Fixed challenges showing inaccurate completion amounts for area-specific challenges. Players can now reset all challenge progress for a character once they’ve completed 85% of all non-DLC, non-area-specific challenge levels. This will keep the player’s current challenge bonuses and rank, but reset all challenge progress to 0 and allow challenges to be re-completed for additional ranks and bonuses. This option will appear as a tooltip at the bottom of the “challenges” screen within the status menu if the player has met the criteria.